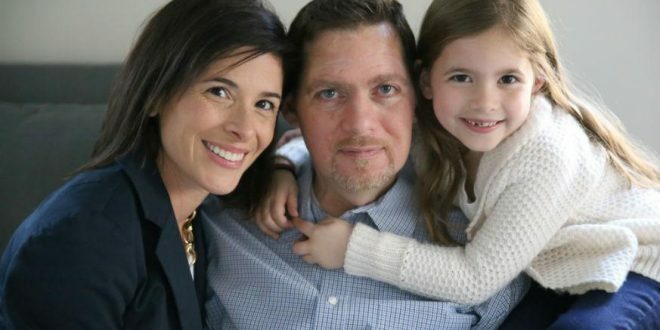 Inspiration behind ‘ice bucket challenge’ dead at 46. Anthony Senerchia died after battling with the incurable condition Amyotrophic Lateral Sclerosis (ALS) also known as Lou Gehrig’s disease for 14 years. The neurodegenerative disease causes cells of the nervous system to die, resulting in muscle weakness, impacting speech, movement, swallowing and breathing. Senerchia, of Pelham in New York, was the person who first took part in the Ice Bucket Challenge in which people dumped buckets of ice water over their heads for charity before nominating more people to do the same. After a short while it became almost impossible to escape, with people across the world including celebrities such as Justin Beiber, Matt Damon, Cara Delevigne and Bill Gates – to name but a few – also taking part. The Ice Bucket Challenge was also originally criticised as a fad rather than a legitimate fundraising effort and those taking part in it merely wanting to be seen participating in the latest trend or a prime example of “slacktivism” – online activism that requires minimal time, effort or meaningful involvement. However, the challenge was an enormous success for the ALS Association, raising more than $115m in donations. The money was reported to have helped discover a new gene which could put scientists on the track to new therapies for the disease. Senerchia was diagnosed with ALS in 2013, shortly after marrying his wife Jeanette Hane. The couple later gave birth to their daughter, Tanya, now nine. In his obituary, his family said the reason Senerchia was able to live years beyond the doctor’s prognosis was his “love and desire to be with his daughter”. His family said: “Throughout his fight, Anthony maintained a positive attitude and would say “It’s not what we take from life, but what we give back to others is what ultimately defines us. “Although Anthony received many awards and accolades in his lifetime none would compare with his daughter Taya who was his ultimate pride and joy. Anthony was a devoted father who loved to take Taya for breakfast, help with her math homework and go for walks with her. In 2016, the original Ice Bucket used used bu Senercia’s wife was inducted into the Washington DC Smithsonian Institution, National Museum of American History. He went on to create the Anthony Senerchia Jr. ALS Charitable Foundation which made substantial monetary donations to Columbia Presbyterian Medical Center for ALS research and he later received the prestigious Castle Connelly National Health Leadership award for all his charitable contributions.